Forza Motorsport is the hottest racing game and the upcoming version 6 will take it to a new level. New cars, and best of all new tracks – including Watkins Glen. 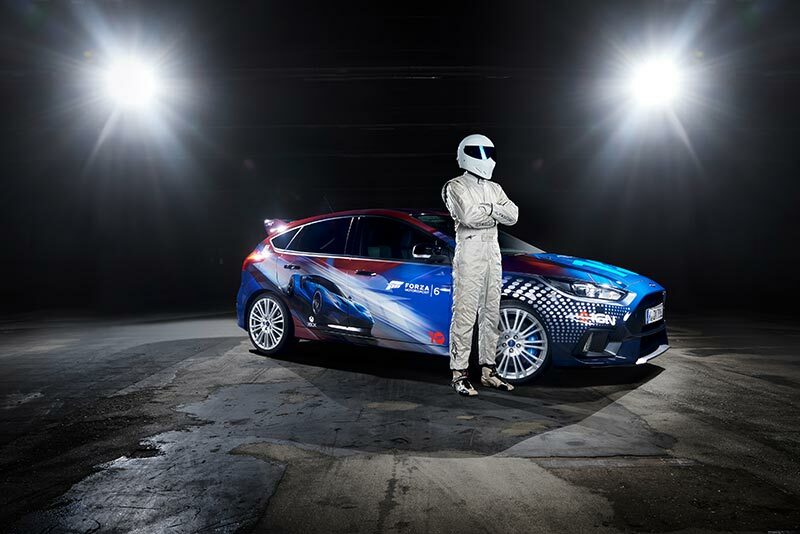 To celebrate the upcoming release, Ford built a special one-off Focus RS and had The Stig deliver it. COLOGNE, Germany, Aug. 4, 2015 – A unique all-new 2016 Ford Focus RS featuring an exterior designed by players of Forza Motorsport for Xbox was unveiled today at a special Microsoft event, ahead of the international event in Cologne. The special Forza Focus RS was driven to the event – and accompanied during the evening – by the Stig from BBC’s Top Gear, who will feature in the new Forza Motorsport 6 game for the Microsoft Xbox One console. The all-new 2016 Ford Focus RS is the third generation of Focus RS cars, following models launched in 2002 and 2009. Developed by a global Ford Performance team, the RS features a specially-engineered 350 PS 2.3-litre EcoBoost engine; pioneers the innovative Ford Performance All-Wheel-Drive system; and is the first RS to offer selectable Drive Modes – including industry-first Drift Mode – and Launch Control.